While most taxi cab drivers are honest professionals, and while many never actually intend to cause injury while in the course of driving a customer, accidents happen, and they can happen to even the best. Taxi drivers need pretty good driving records in order to start working and to stay employed. While the odds of being involved in an accident with an experienced taxi cab driver behind the wheel are low, accidents can happen to even the most experienced and most cautious of cab drivers. Depending on several factors, including speed and terrain, being involved in a taxi cab accident can result in injuries ranging from the minor to the serious. If serious injuries are sustained by a passenger in a taxi cab, several legal remedies may exist to compensate the victim for losses and damages incurred. There are two primary reasons why a taxi may be involved in an accident – because of the fault of the driver or because of the fault of a third party. Taxi drivers cause accidents when they drive distracted, when they fail to follow basic safety laws, and when they travel at excessive speeds in order to drop off a customer a few minutes quicker. This type of negligence and recklessness is not allowed of Nevada cab drivers, or cab drivers in just about any American jurisdiction, and could expose the cab driver to legal liability if his or her negligence / recklessness are a direct cause of a cab passenger’s injuries. Another reason why taxis may be involved in accidents is because of negligence or recklessness on the part of third parties, like other motorists on the road, pedestrians not paying attention while walking, motorcycle riders weaving unsafely in and out of lanes, etc. Third party fault could also be considered if a defectively designed or manufactured component of a taxi was the primary cause of an accident that caused injury to a passenger in the taxi. Manufactures of vehicle components in the United States are held to a general duty to ensure that their products are safe enough for intended use before they enter the stream of commerce. If a lemon falls through the cracks and is allowed to make its way onto the open market, then the manufacturer of that product or part may be required to compensate any victims for damages sustained as a result of the defective component’s role in causing an accident. When a taxi is involved in an accident, any passengers should remain at the scene so that they can be evaluated by medical professionals for any reported or suspected injuries. Aside from paramedics and discussions about aches, pains, and injuries, nobody else at the scene should be spoken with, not even the cab driver who was in the car with the injury victim when the accident occurred. Any statements made or reported at the scene of an accident may come back to hurt an accident victim’s case. Instead of risking the success of a case on an answer or comment provided at the accident scene, it is better for accident victims not to say anything at all, not even to police, regarding the specifics of the accident in question until after the victim has conferred with legal counsel. The primary purpose of civil law is to compensate injury victims in the hopes of making the victims financially whole, which is to say to put them in the same financial position they would have been in had the injury not occurred. This is different from criminal law, which primarily exists to punish and deter criminal behavior. Civil law allows victims of injuries sustained in a taxi cab to recover damages from the person or entity responsible for the injury. An entity like a business or government agency can be found liable for an injury if an employee of the business or agency is found to have been the primary cause of injuries. This is thanks to a legal principle which holds employers responsible for the actions of their employees while they are performing work related duties. An exception to the general rule that makes employers responsible for employee conduct is when the cause of an accident is not an employee, but an independent contractor. If they are involved in a taxi cab accident in which the cab driver is determined to be at fault, this will be an important exception for victims to keep in mind, because many modern taxi drivers are not employees of the companies that own the cars they drive, they are independent contractors who lease the cars from the owner of a fleet of taxis, usually for a flat daily or weekly rate. 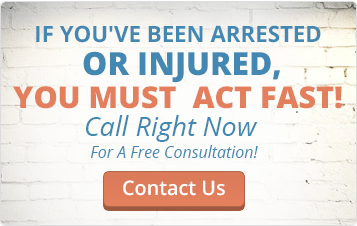 For the best chances of recovering the compensation which they are owed, taxi cab injury victims are encouraged to seek the advice of a professional personal injury attorney of the Fletcher Firm. The attorney can help the victim identify the party or parties against whom charges should be filed and can help the victim determine a fair amount of compensation to ask the court to award in the case, assuming that an agreement for a settlement can’t be reached. Even though Nevada law requires common carriers (taxis, buses, limos, shuttles) to have minimum insurance coverage for property damages and bodily injuries, a number of legal obstacles may obstruct your path as you attempt to collect compensation for your injury. Knowing exactly how much to ask for can be difficult for the victim working on a case alone, and seeking or being convinced to seek damages below what the law allows can lead the victim to major financial detriment in the future. Along with being compensated for past medical bills and lost wages, victims of taxi cab injuries that result in long term effects may also be awarded compensation for future medical expenses and future lost wages, which is something that the victim should discuss with his or her legal counsel before trying to pursue.